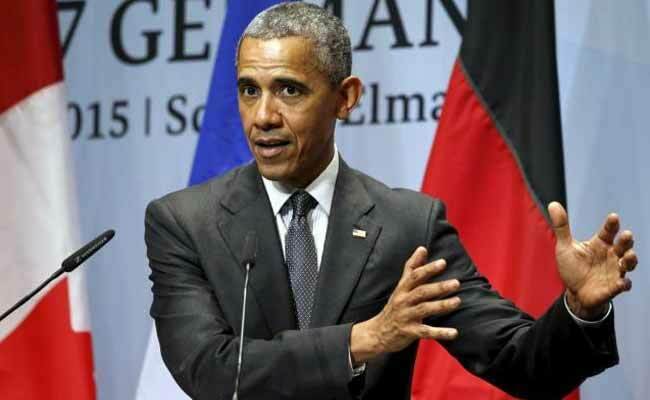 President Barack Obama told reporters in his final news conference that he would comment on his successor's actions only at "certain moments where I think our core values may be at stake", NDTV reports. Obama, who is still on vacation with his family after leaving office this month, issued a statement through his spokesman Monday encouraging Americans to publicly protest President Donald Trump's move to ban citizens from seven majority-Muslim countries - as well as refugees from across the globe - from entering the United States. He also contested Trump's claim that Friday's executive order was based in part on decisions made during his administration, including identifying the same seven countries as harboring terrorism threats and slowing the processing of visas for Iraqis after evidence surfaced that two Iraqis seeking resettlement had been linked to terrorist activity in their homeland. "With regard to comparisons to President Obama's foreign policy decisions, as we've heard before, the President fundamentally disagrees with the notion of discriminating against individuals because of their faith or religion," Obama spokesman Kevin Lewis said in a statement. Obama's decision to speak out - after pledging to do so in rare instances - underscores the predicament he and many of his top advisers find themselves in just days after leaving the White House. While the president repeatedly emphasized the need to ensure a smooth transition and not interfere with the workings of the new administration, the adoption of a policy antithetical to the values he espoused while in office caused him to break his silence. While some former presidents eventually came to criticize their successors - Theodore Roosevelt broke with William Howard Taft, whom he worked to get elected in 1908 and then ran against four years later - they have generally sought to stay quiet. Even Roosevelt told Taft after returning from a vacation overseas that while some progressives were disappointed with the new administration's direction, "I will make no speeches or say anything for two months. But I will keep my mind open . . . as I keep my mouth shut." "I don't think it's very common at all for an ex-president to be commenting on the performance of his successor," presidential historian Robert Dallek said. "This current incumbent is so out of sync with what the normal behavior of a president is that it calls for ex-presidents to respond." During his last news conference, Obama sketched out the criteria for what would prompt him to speak out as a private citizen. He said threats to some of the key ideas he championed - including tolerance for minorities, immigrants and political dissent, as well as the need for broad voter participation among Americans - could prompt him to weigh into the public discourse. "I put in that category if I saw systematic discrimination being ratified in some fashion. I put in that category explicit or functional obstacles to people being able to vote, to exercise their franchise," he said. "I'd put in that category institutional efforts to silence dissent or the press. And for me, at least, I would put in that category efforts to round up kids who have grown up here, and for all practical purposes are American kids, and send them someplace else, when they love this country." Several journalists put in requests for comment to Obama's office in the wake of the executive order, Lewis said, and while the former president is trying to take time off with his family, "he's reading the news like everyone else." Presidential historian Douglas Brinkley - who discussed Obama's post-presidential role with him - said the former president had initially hoped to avoid commenting on the political issues of the day. "Donald Trump's thrown a monkey wrench into those plans," Brinkley said, adding that while "he's not going to be getting into the nitty-gritty of the policy fights"or serving as "a Democratic Party operative," he's "going to have to stay very engaged" on a few key issues. "He'll be a voice of dissent, but done in a calm and reassuring way," said Brinkley, a Rice University history professor. "There was no way Barack Obama could have stayed silent on this immigration ban." The very structure of Obama's post-presidential office - which includes a few of his top White House communications aides - highlights the extent to which he is already positioning himself to engage in political advocacy. Obama - who in his farewell address called on supporters to engage in political organizing to advance progressive goals - praised the idea Monday of Americans taking part in peaceful protests in the wake of the executive order.